Audi’s vehicles are top of the line. These beautiful cars are known	for their innovative technology and superior luxury in design. If you	are in need of Audi repair in Sacramento or Audi maintenance services	in Sacramento, please visit us at Frank’s Automotive. We provide	high quality automotive services for all German made vehicles. Our Sacramento	mechanics have years of experience working on a variety of Audi models. We offer repair and maintenance services for Audi sedans, SUVs, crossovers,	wagons, coupes and convertibles. No matter what year or model Audi you	own, we are here to assist you with top quality services. Here at	Frank’s Automotive, we specialize in repairs and maintenance for Audis because we understand	the importance of quality work. Our mechanics are not run of the mill	laborers. Instead,	they are highly trained and skilled German car specialists. When you bring your Audi in to our shop, you know you can rely on us for	automotive work you can trust. We also offer maintenance services such as coolant flushes and oil changes	for Audis. 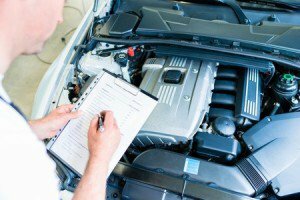 Proper maintenance programs will ensure your vehicle continues	to run smoothly for many years to come. This holds doubly true for a German	make. Talk to us about the right maintenance schedule for your Audi. If your Audi is acting up and you are uncertain what the issue is, feel	free to bring it by Frank’s Automotive. Our trained mechanics will	use state of the art diagnostic tools to get to the bottom of the issue. Through quality diagnostic services, we will not only discover the root	of the problem, we will also be able to provide you with a viable solution. After we diagnose your Audi’s mechanical issues, we will provide	you with a fair and upfront assessment. 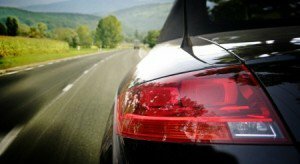 Our goal is for you to be back	on the road in your beautiful car as quickly as possible. Remember, we	have years of experience working with German vehicles and will work with	any year or model Audi. Don’t trust just any mechanic with your luxury vehicle. Instead,	come visit the Audi specialists at Frank’s Automotive. Since our	founding in 1969, our passion has been to provide high quality automotive	services for all German vehicles. For the best Audi repairs and maintenance	services in Sacramento,	visit our shop today!